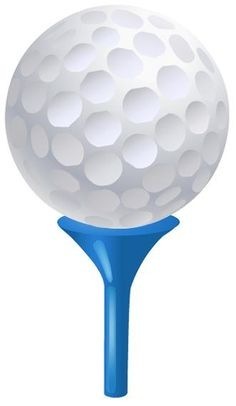 The 10th Annual Jay Lambeth Golf Tournament takes place on July 31, 2019 in conjunction with the FAPSC 2019 Annual Administrator Conference. It begins with a shotgun start at 8:00 a.m. and will be comprised of 4-person teams. Registration includes greens fees, cart, and practice balls. Lunch will be at noon and prizes will be awarded for Closest to Pin and Longest Drive. Scholarship opportunities are available. Tournament Proceeds to Benefit the FAPSC Scholarship Program. Centrally located between Fort Lauderdale and Miami in the city of Hollywood, Florida, The Club at Emerald Hills displays a harmonious blend of undulating greens, contoured bunkers and hills, all meticulously maintained to guarantee you a challenge. As host site for the PGA Tour Doral and Honda Open Qualifiers, The Club has also hosted U.S. Open, U.S. Senior Open, U.S. Amateur, U.S. Mid-Amateur, and U.S. Public Links qualifiers as well as several local PGA events. The Club has been recognized and voted “Excellent” by players in “America’s Top Golf Courses” by ESPN and Zagat Survey.You can visit the golf course's website here. Golf registration fee is $150 per golfer. You can sign up yourself, two people, three people, or four people. We must have all the handicaps and other information for all players. Major Beverage Cart Sponsor $3000 1 Golf foursome, company name listing on sign of complimentary beverage cart for tournament, company logo and web-link on golf tournament page. Title Golf Tournament Sponsor $6000 1 Golf foursome, company name listing on event signs, logo and web-link on golf tournament page, and complimentary FAPSC vendor booth during 2019 FAPSC Annual Conference.